3M 213 3 in x 60 yd Scotch Hi Perf Masking Tape is highly cured rubber adhesive for excellent high-temperature holding and adhesive transfer resistance to keep edge lifting minimized to help reduce rework and labor. 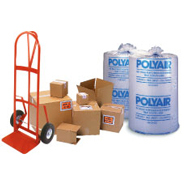 Specially treated crepe paper backing that is sliver resistant, conformable, easy tear, solvent and moisture resistant. Special backsize treatment to controlled unwind for easy use. 3M ID 70006380151 3M 213 3 in x 60 yd 6.5 mil Scotch Hi Perf Masking Tape is designed for indoor use only as it should not be subjected to outdoor exposure. Ideal for use on aluminum anodized surfaces.